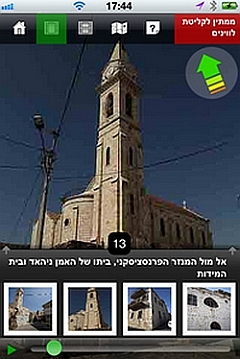 The tour of Ramla’s British cemetery takes almost two hours of and is guided by Michael Rishoni – a native citizen of Ramla who is wrote a book about this mystical place. 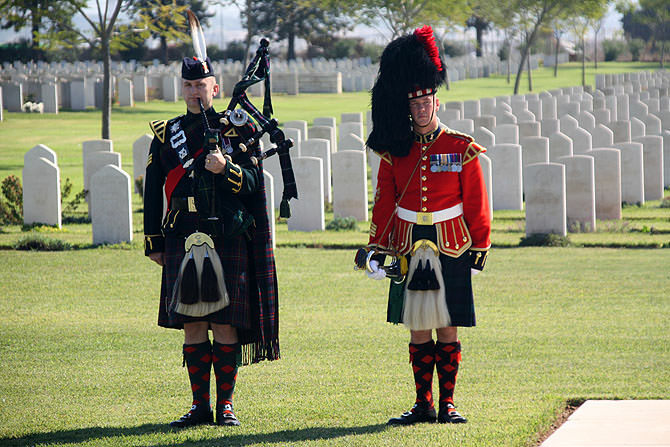 In an unfathomable way, the cemeteries 72 dunams integrate death and loss on the one hand – with the breathtaking beauty of colorful flowers, huge lawns and impressive tomb stones on the other – all in the best of British traditions with its attention to the aesthetic aspect. 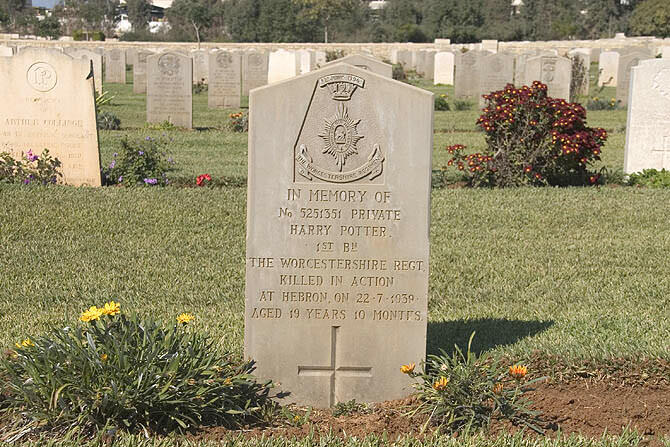 A cemetery which really is not only the “burial site of Harry Potter”! Founding year: 1917, after the conquest of Ramla (by Australian forces), in the course of World War I. From 1917, and till today, the site underwent numerous renovations and “upgrades”. In the 1950s, these included a massive extension of the area with the gravestones of soldiers who fell in the course of World War II. Close to 6.5 km (!) of beautiful paths passing through rows of memorials, row after row – 4,049 gravestones, among them those of 40 Jews, including Neil Primrose (the son of Hanna Rothschild), dispersed across the site. In addition to the fallen soldiers of two world wars, also those who fell in between the wars and between 1945 and 1951 are honored here. In addition, the graveyard is not only a memorial to fighters / soldiers or members of the police force but also the burial site of women, children and even a baby whose tombstone reveals that it died only 17 hours after its birth. Part of those resting here died from disease (such as malaria! ), in accidents and through personal tragedy. In general, the site features two distinct ways of separating its different parts: the “Wall of War” and the “Wall of Religion”. The first separates the fallen of the two wars (north - south), and the second separates between the Christian majority and the Jewish minority opposite those of the fallen who were Moslems, Hindus or Sikhs (east – west). The number of nationalities “represented” in the cemetery is more than 50! !, among them also fallen enemy soldiers: Germans, Austrians, Turks and Italians. Every year, on the Sunday closest to the date of 11/11 (the end of World War I), at exactly 11 o’clock am, an amazing and colorful ceremony takes place at the site: It includes representatives of a dozen nationalities, including members of the Israel Defense Forces, the Rabbinate, and amazing combinations of ethnic groups, amidst an abundance of colorful flower bouquets piling up - accompanied by bagpipes played by a Scottish band! The British ambassador is in attendance, with religious texts being recited (by the Anglican vicar of Ramla) - the brotherhood of man, no quotation marks intended. The most important person buried here is the British Captain Neil Primrose who also filled senior positions both as the Under-Secretary of State for Foreign Affairs and as the British Parliamentary Secretary to the Treasury. His family ties are no less impressive: He was the son of the former British Prime Minister, Lord Roseberry and Hanna de Rothschild (the daughter of Baron Edmond de Rothschild; the Israeli town of Pardes Hanna is named after her). According to Jewish tradition, Primrose had been a Jew. Additional famous persons who are have been interred here are Clifford Martin and Mervyn Paice, who were both killed by the Jewish underground organization “Irgun” in the course of the “British Sergeants Affair” in 1947, as well as the pilot Harry David Tattersfield whose plane was shot down in 1949 by pilots of an Israeli Air Force formation led by Ezer Weizmann. The last, but not least, person to be mentioned is Private Harry Potter, whom no one except his friends and family would know about, were it not for Jay. K. Rowling. 4,049 tomb stones, each representing a world of its own: Childhood, adolescence, adulthood. Instead of continuing to smile, laugh, be productive and raise children, a bullet, a grenade, a land mine or even a dagger cut the lives of these persons short. And all due to arrogance and hatred between people. May they rest in peace. The cemetery’s tour is guided by Michael Rishoni and includes the book he has written about this site - it sheds light on unique and personal aspects of the fallen, making use of literary quotes, poetry and riddles written by Michael as well as a bit of black humor - and music on a magic harmonica. For reservations for a combined tour, please click here.